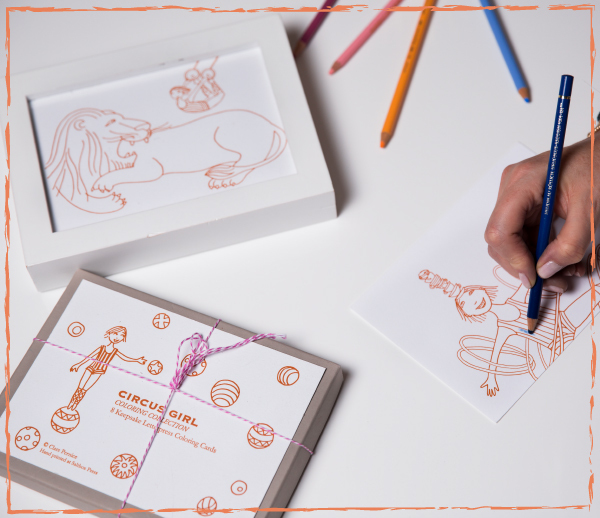 A truly imaginative gift for little creatives. Please contact for pricing and further information. 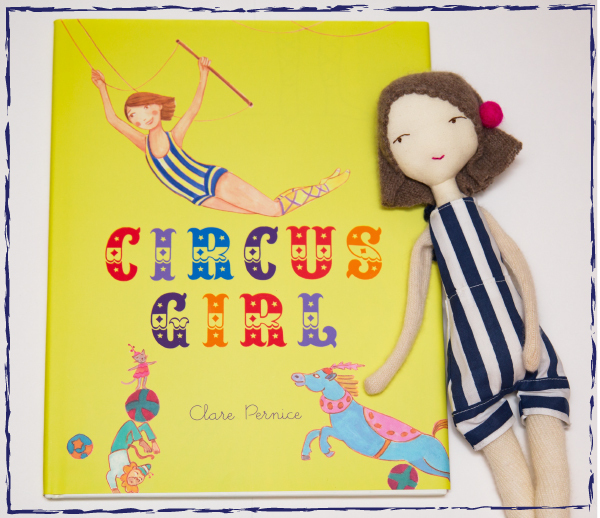 Signed Circus Girl Book with any/or all all of these Collectable Collaborations - Heirloom collectable star of the show SuSu Littles, Circus Girl doll, hand -made from organic cotton and the softest cashmere. Letterpress coloring cards. 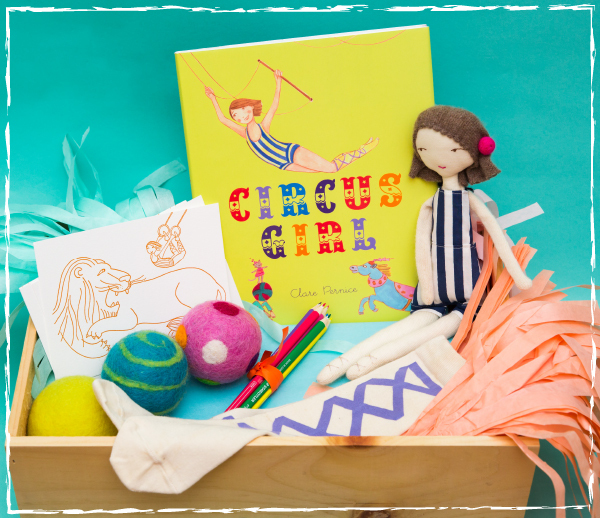 Circus Socks, organic cotton, hand-printed sizes 1 -6 years by Wovenplay. 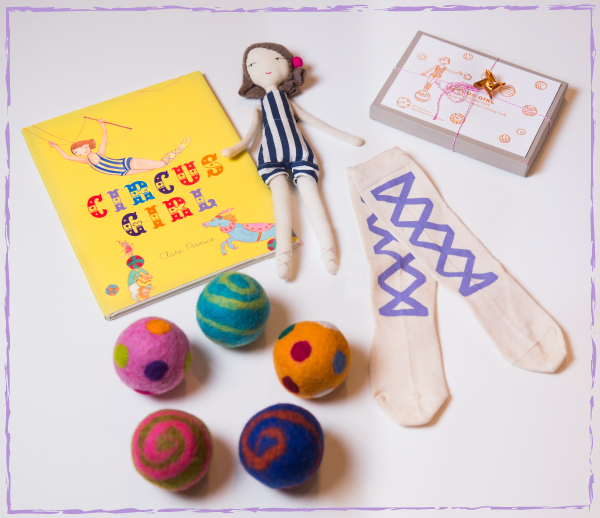 Circus Balls, naturally dyed organic wool and beautifully felted by Nutmeg Naturals. 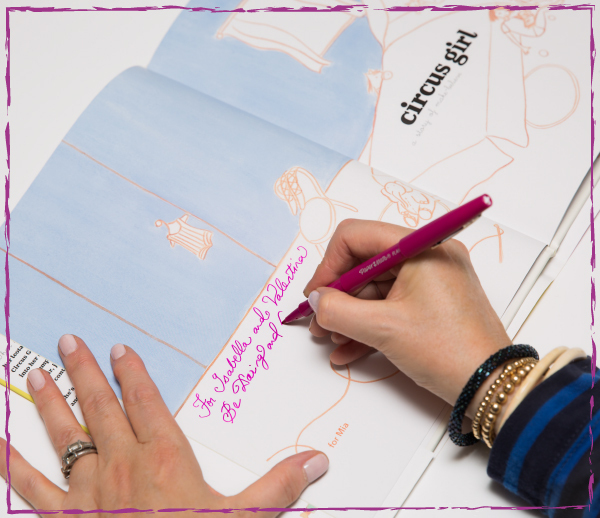 Art classes and workshops are available in the NYC Tri- State area and throughout Connecticut. Also Clare will travel afar just contact for details. From individual to 6 participants for in studio. School visits - kindergarten - middle school - in class and auditorium. For pricing and bookings contact - Aline Weiller or Clare directly.